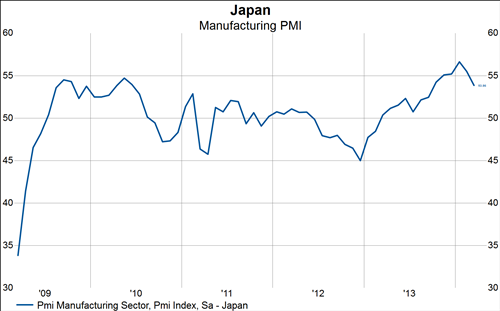 Today saw the release of Japanese industrial production, the Markit Manufacturing PMI, and housing starts. 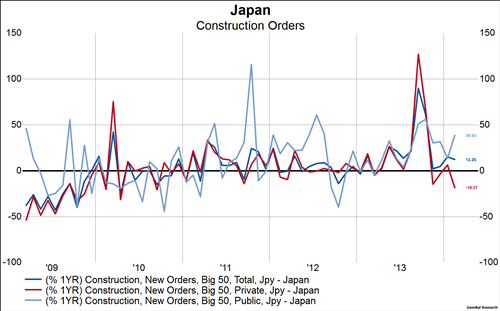 Unfortunately this latest package of data does little to alter the ongoing trend of a deteriorating Japanese economy. 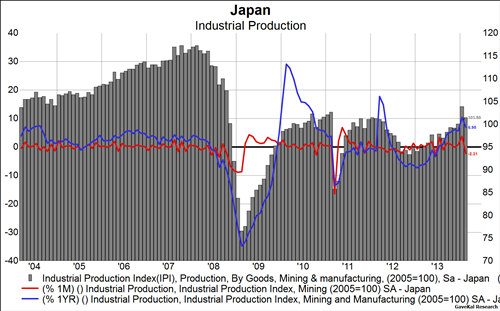 Indeed, industrial production saw the largest one month drop since the earthquake and tsunami and the global financial crisis before that. The manufacturing PMI followed suit as it dropped for a second strait month and by the largest two month amount since 2011. 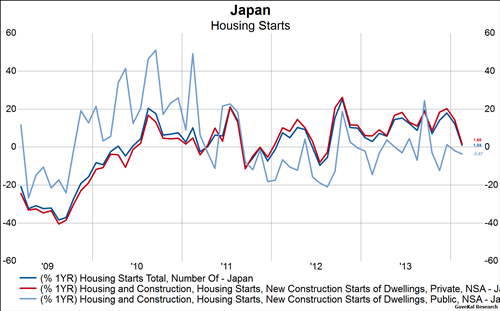 Housing starts and construction orders were’t quite as weak, but still show a weakening trend that has been propped up only by public investment.